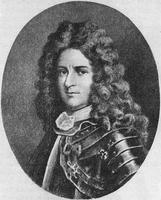 SAGEAN (Sajan, sometimes known as Mermande), MATHIEU, soldier, adventurer, and inventor of a short-lived El Dorado; born, according to his own statement, at Lachine, the son of Jean Sagean and Marie Larrante (or Maria Rende); last identified in 1711 when he owned a lot at Fort Louis on the Rivière de la Mobile. Early in 1700 Sagean reported to Desclouzeaux, the intendant of Marine at Brest, France, that he had discovered Acaaniba, a populous kingdom of white people situated in what would now be the southwestern part of the United States. After making the journey with La Salle [Cavelier*] to the mouth of the Mississippi, Sagean claimed to have set out, with the approval of Henri Tonty, to make discoveries of his own. With 11 Frenchmen and 2 Mahicans he had travelled from a point on the upper Mississippi River and reached the River Milly, “river of gold,” after a 14-league portage. The Milly, a wider and deeper river than the Mississippi, flowed south-southwest to Acaaniba. During their five-month sojourn in Acaaniba, the adventurers had found the people to be ingenuous and the country a veritable paradise. Gold was so plentiful that the Acaanibas made common utensils and heroic statues of pure gold, and each year sent a 3,000-ox caravan laden with gold on a six-moon journey to their market, which, Sagean hinted, might be Japan. When news of Sagean’s discovery reached Pontchartrain, he wrote to Desclouzeaux (10 March 1700), ordering him to prepare a report. As Sagean could not write, he dictated his story to Desclouzeaux’s secretary. Soon Pontchartrain had Sagean moved to the Rochefort area where he was to be interrogated by Pierre Le Moyne d’Iberville and by Michel Bégon, the intendant at La Rochelle. Strict orders were given that Sagean, and his precious secret, be kept under lock and key. The minister of Marine was not the only one intrigued by the Acaaniba tale. His enthusiasm was shared by the small circle of men, including the king’s counsellor, Cabart de Villermont, and the Abbés Claude Bernou and Louis de Dangeau, who were permitted to hear of Sagean’s discovery and read extracts from his Relation. Finally, after much discussion and hesitation, Pontchartrain ordered Bégon to send Sagean to Louisiana by the first ship bound for the Mississippi so that he could lead a party of Frenchmen back to Acaaniba. When he arrived at Fort Maurepas, Biloxi, on 27 May 1701, Sagean was immediately impeached by Henri Tonty and Pierre Le Sueur, and his claims refuted. Although the Kingdom of Acaaniba proved to be a golden hoax, Sagean’s narrative gained for him a passage to America, which was his chief objective. Sagean deserves to be remembered both for his ingenuity in deceiving men wiser and more learned than himself and for his skill as a storyteller. Although his narrative lacks depth and subtlety of characterization, it has a place among the exciting tales of adventure, real or fictional, written when many parts of the world were still unknown. 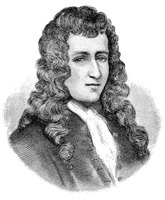 Sagean’s dictated narrative was published many years subsequently as “Découverte et aventure de Mathieu Sagean, 1683–1699,” in Découvertes et établissements des Français (Margry), VI, 95–162. Other material relevant to the Sagean story is reproduced on pages 162–74 of the same volume. See also: AN, Marine, B2, 146, f.35; 147, f.8; 148, f.518; 149, ff.149, 155. BN, MS, Fr. 22810, f.257. MPA (Rowland and Sanders), II, 9–18. P. J. Hamilton, Colonial Mobile (Boston, 1897; rev. ed., 1910), 84 ([Chevillot]’s map “Fort Louis de la Mobille, 1706?”). R. G. McWilliams, “A kingdom beyond the Rockies: the El Dorado of Mathieu Sagean,” in The French in the Mississippi valley, ed. J. F. McDermott (Urbana, 1965). Richebourg Gaillard McWilliams, “SAGEAN, MATHIEU,” in Dictionary of Canadian Biography, vol. 2, University of Toronto/Université Laval, 2003–, accessed April 25, 2019, http://www.biographi.ca/en/bio/sagean_mathieu_2E.html.